Successfully Added Ugoos MK809IV Android 4.4 Quad Core TV Dongle - Bluetooth 4.0, 2G RAM, 8GB ROM, Support XBMC Hardware Decoding to your Shopping Cart. Ugoos MK809IV Android 4.4 Quad Core TV Dongle is here and designed to make your TV time more entertaining and practical as it has Bluetooth 4.0, 2G RAM, 8GB ROM and it supports XBMC Hardware Decoding. The MK809IV by Ugoos is one of the latest Android TV dongles to appear and it’s got the specs to live up to it. With a Quad Core CPU, 8GB ROM and 2GB DDR3 RAM, the MK809IV is the newest contestant to the game of TV dongles. Utilizing the design with an extendable built-in Wi-Fi antenna, the MK809IV offers solid Wi-Fi performance and for a TV dongle, Wi-Fi performance and stability is always an important issue, as often the units are placed in locations with plenty of interference. Then add other devices such as wireless mice or keyboards and suddenly the airwaves around a TV dongle can be a battle ground for signal quality and strength but this TV dongle can cope with all the interference. 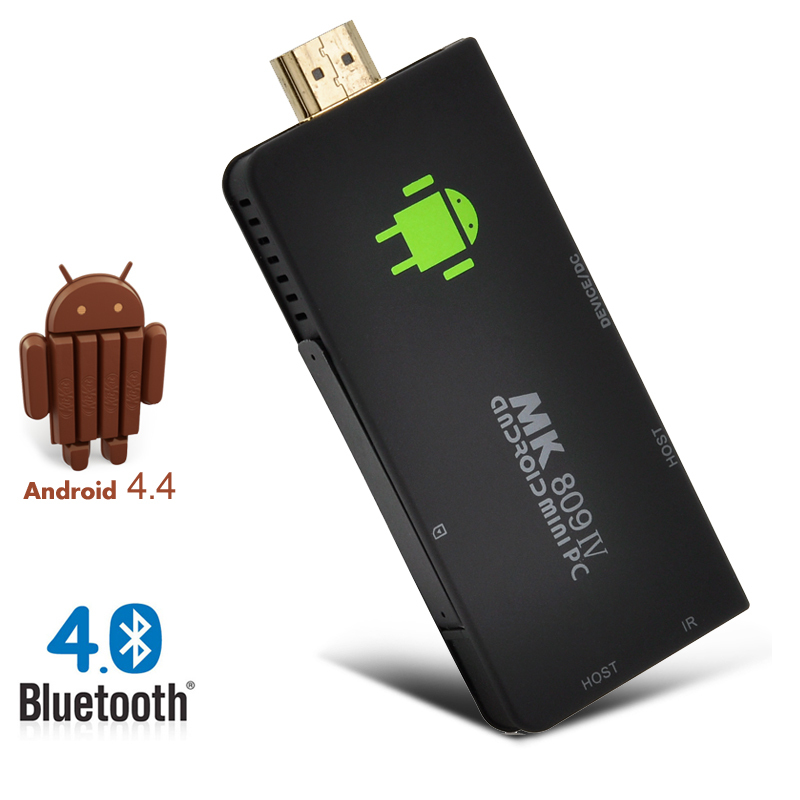 Apart from built-in Bluetooth 4.0 and supports XBMC hardware decoding, the MK809IV has the latest Android 4.4 KitKat operating system. This operating system is the latest and the greatest that has been released by Android and it has all the previous features and more, so you can customize and optimize the way you view this platform. 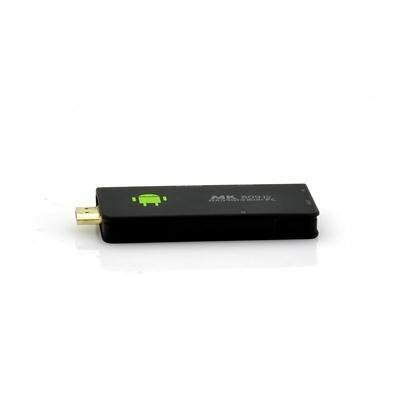 Sit back on your sofa and play Angry Birds, or update your Facebook while streaming videos from YouTube, this practical TV dongle allows you to do all that with have access to the Google Play store. This product is in stock now, we guarantee next working day shipping and offer a 12 months warranty on all our products. Brought to you by the leader in electronic devices and wholesale Android TV Dongles, Chinavasion.